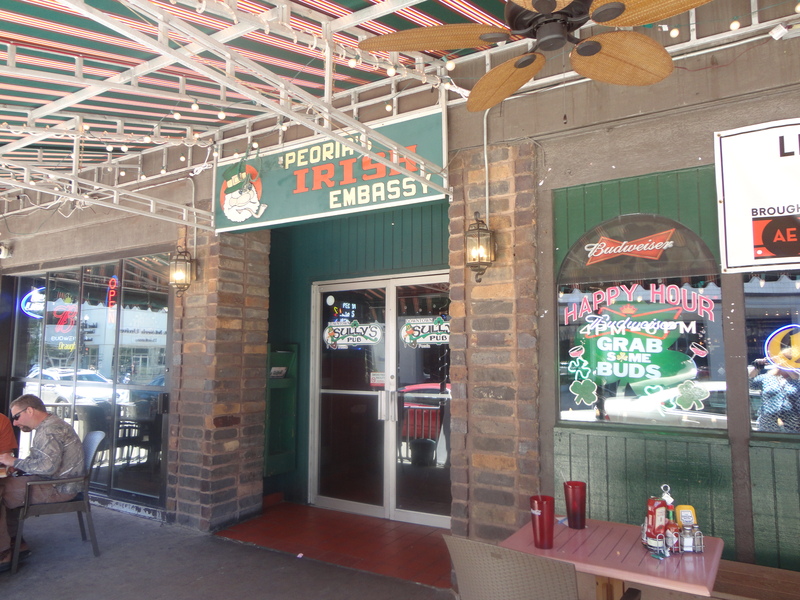 Before touring the Caterpillar museum we stopped for lunch in downtown Peoria at a cool Irish pub named Sully’s. The pub is a fun place with lots of sports memorabilia on the walls and a very cool round bar. The pub offers lots of room and provided a quick dining option. Established in 1973 Sully’s has been dubbed the oldest restaurant and bar in Downtown Peoria. The sports memorabilia comes from all over the world and is highlighted by the amazing neon signs. Check out http://www.sullyspubandcafe.com/sullys_006.htm for more information! Previous Post: Find your niche meal at the Niche!